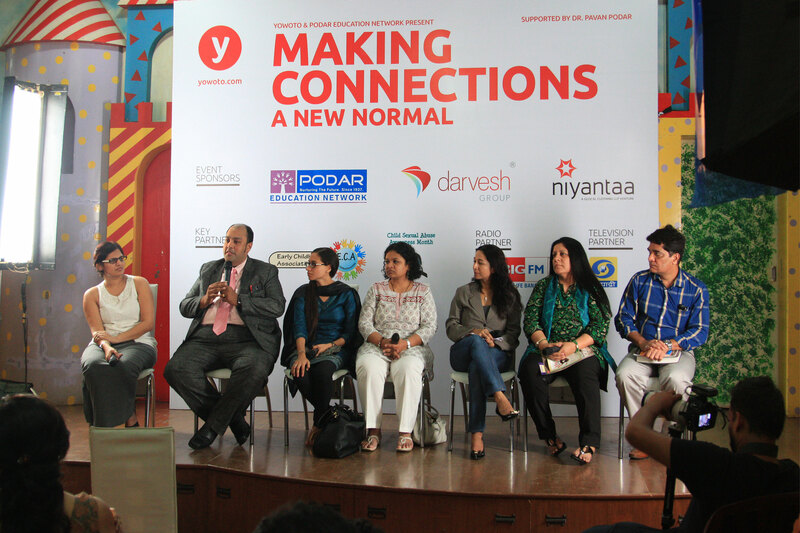 On Saturday, 19th of April, some of the sharpest minds on the subject came together in Mumbai, to discuss child sexual abuse and answer questions from parents. Swati Popat Vats, president of Podar Education Network, spoke about the need to teach your kids about safe and unsafe touch. Pooja Taparia, the founder of Arpan (an NGO to prevent CSA) spoke about how parents can have this difficult conversation without scaring the kids. Kiran Manral, popular mommy blogger and co-founder of CSAAM, Harish Iyer, CSA survivor, and Padma Iyer, his mother, spoke about myths, their experiences and brushes with CSA. Persis Sidhva of Majlis, a legal resource centre and senior police inspector Shirish Sawant spoke about the law and why it’s important to shrug off the shame and report crimes. And finally, Dr Avinash De Sousa, took parents through the process of how to help heal the wounds.